Are you entrepreneurial but also want to study for an honours degree? 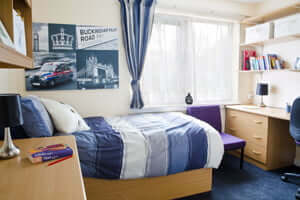 Well, you can on the innovative BSc Business Enterprise programme at the University of Buckingham. Launched in January 2006, our BSc Business Enterprise is the first undergraduate Venture Creation Programme (VCP) at a university anywhere in the world. This means students are required to start and run a business as part of their degree, this is not your typical degree programme as this programme is split between real-world application and theoretical knowledge. Start and develop your own new business at the same time as studying for an honours degree. Make a positive contribution to the strategic development of a family business or other small or medium enterprise. Develop an entrepreneurial or “can do” approach to life to enhance your future career anywhere. This course provides the opportunity for you to ‘pitch’ for ‘seed-corn’ capital of up to £5,000, enabling you to start and run your own business as an integral part of your honours degree. We offer a range of business subjects that will help you to establish your business and develop your qualities of entrepreneurship, management and innovation. In the first semester, you will learn how to create an effective business plan. This will form the basis of your ‘pitch’ to obtain your ‘seed-corn’ capital from our investment panel ‘Buckingham Angels’. During the following 18 months, you will be establishing and ‘growing’ the business, at the same time as developing your academic knowledge in-depth across the range of business subjects needed to obtain an honours degree in Business Enterprise. This degree has been recognised by the Chartered Management Institute (CMI). On successful completion of this course, you will also receive a CMI Level 5 Certificate in Management & Leadership. CMI is the largest professional body for Management in the UK with over 100,000 members. To find out more about CMI please visit www.managers.org.uk. Throughout the programme, entrepreneurs are invited to talk to the students about their experiences in starting a business and what lessons they have learned in the process. This gives the students the opportunity to learn from real-world experiences and provide the inspiration all entrepreneurs need to be successful. In the Winter and Summer terms we run weekly Innovation and Entrepreneurship talks from successful entrepreneurs, these are open to everyone and if you would like to attend you can contact Katie Jones for more information. Find out more about upcoming (and previous) Business Enterprise visiting speakers and/or view the BBE Innovation and Entrepreneurship videos on YouTube. All of the first cohorts of BSc Business Enterprise graduates have established their own businesses, been appointed to interesting jobs or have gone on to postgraduate study, using their enterprise education and entrepreneurial skills. 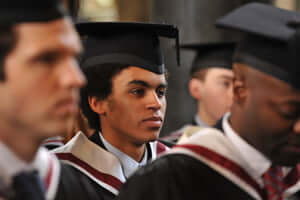 Read about the experiences of Business Enterprise graduates. Download BSc Business Enterprise (BBE) – Frequently Asked Questions. Our MSc in Entrepreneurial Consultancy and Practice from January 2020 will take our globally recognised approach of entrepreneurial education to the discipline of consultancy. Working in liaison with KPMG Enterprise we offer our students the chance to learn how to provide growth consultancy services to real businesses. To keep up to date with Entrepreneurship at the University of Buckingham you can follow us on the following social media platforms. Applications to Buckingham are individually considered by the Admissions Tutor and other factors may be taken in to account. Applicants with BTEC qualifications are welcome to apply, including if you have a mix of BTEC and A levels. Teaching is carried out through a combination of lectures supported by seminars and tutorials. A key feature of the Buckingham teaching method is the use of small tutorial groups which provide the most effective means of ensuring that the students benefit from the academic expertise at their disposal. It is also the philosophy of the Business School faculty to be available to students outside the scheduled tutorial times and to encourage good working relationships between staff and students. 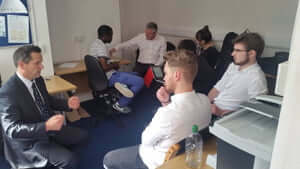 Business Enterprise is unique in offering practical workshops, as well as an open-door policy with the course tutors, whom students can always approach to ask for help or advice. External entrepreneurs are invited to make presentations to BSc Business Enterprise students in the Winter and Summer Terms to help inspire, as well as inform, the students on the programme. A significant number of our graduates have followed their entrepreneurial spirit in starting up their own business or expanding on those created during the course of their degree. The innovation of these businesses ranges from events management in skydiving (Stefan Stockinger) to online computer gaming (Alex Lehmann) to environmentally friendly clothing (Esme Finch). Similarly, graduates have often utilised the skills learned on the course to improve their own family business, specialising in manufacturing (Sailendra Thulasidharan), brewing, microsurgery and graphics and media. Some of our alumni feel they have more to learn and thus continue on to further study through master’s degrees, MBAs and ACCA. Often, our Business Enterprise graduates focus their study on an area which will benefit their businesses specifically. These studies include sports law, investment risk and finance (Sean Obedih), law, international business, management (Tong Guan) and medicine. Graduates of Business Enterprise also find they are able to pass on their valuable insights to students just as their lecturers did during their time here. Some have gone on to teach GCSE and A-level students in business related subjects (Davinia Obedih), whilst others have travelled to pass on their knowledge to international students (Joseph Finch). For those interested in the fiscal side of business, graduates are able to use their skills developed in financial accounting, business planning and business records modules to flourish in a career in finance. A handful of graduates have begun careers in investment banking, financial data (Pawel Zdobnowski) and accountancy (Joanna Major). Manjeave Singh Lotay, Hubert Stöhr, Alex Meazzani and Salem Said have all developed their entrepreneurial skills in the field of marketing and media. Using their creative skills, as well as the practical experience that the BBE course gave them, these graduates are employed by or partnered with successful digital marketing companies. Of course, students are not merely limited to these options, and some have even gone on to become published authors (Euan Leckie) and even national service lieutenants. All our alumni have been successful in finding graduate level employment or prospering in their own individual goals. “Having graduated in February 2009, I decided that I wanted to follow a career in accountancy. Despite the difficult financial situation at the time, my first class honours degree, and experience running my own business at Buckingham, enabled me to get a job as a Trainee Accountant, working for Michael J Emery & Co. Ltd in Newport Pagnell. I am also studying for my ACCA qualifications, which will take about three years. So far I have completed the knowledge-based aspect of the qualification. I am learning all aspects of accounting and have assisted on some company audits. If you live in Buckinghamshire (including Milton Keynes), Bedfordshire, Northamptonshire, Hertfordshire or Oxfordshire, you will be entitled to a local scholarship of £2,000 per annum providing you meet the conditions of your offer. This scholarship is dependent on your making Buckingham your firm choice. You are not eligible for this award if you hold another scholarship from the University. If, when you join the University, you are in receipt of a Maintenance Loan of £5,000 or more from Student Finance, you will receive a further bursary of £1,100 towards your tuition fees. This bursary may not be held with any other scholarship from the University (please note that because of the significant increase in the Five Counties Scholarship, this bursary is no longer awarded in addition). 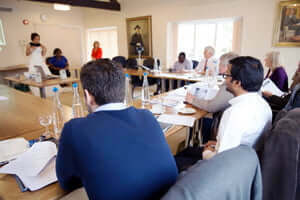 The Buckingham Innovation and Enterprise Centre is offering multiple budding entrepreneurs from across the world the opportunity to win a scholarship to study this unique course. We are looking for passionate candidates with an innovative approach to business.